Where the home value is appraised lower than the offer price there are a few options available to both the homebuyer and home seller. The homebuyer can ask the home seller to accept a lower amount so that mortgage lender meets the 80/20% requirement. If the home seller does not want to accept a lower price then the buyer can terminate the offer to purchase the home under the appraisal clause of the contract to purchase. Another alternative is that the homebuyer can opt to pay more cash out of their pocket so that the mortgage lender is not lending towards more than 80% of the value of the home. In the above example if the offer to purchase the home was at $500,000.00 but the home appraises at $490,000.00 then the home buyer can offer to pay an additional $8,000.00 dollars towards the down payment so that the bank is not lending more than 80% towards the $490,000.00 appraisal price which would be $392,000.00. The offer price still remains at $500,000.00 and that is what will be paid to the home seller, but the homebuyer will need to contribute more money out of their pocket in order to complete the deal. If neither the homebuyer nor the home seller is willing to take a lower price or put in more money then the mortgage will not be funded and the deal will be terminated if nothing further is done. 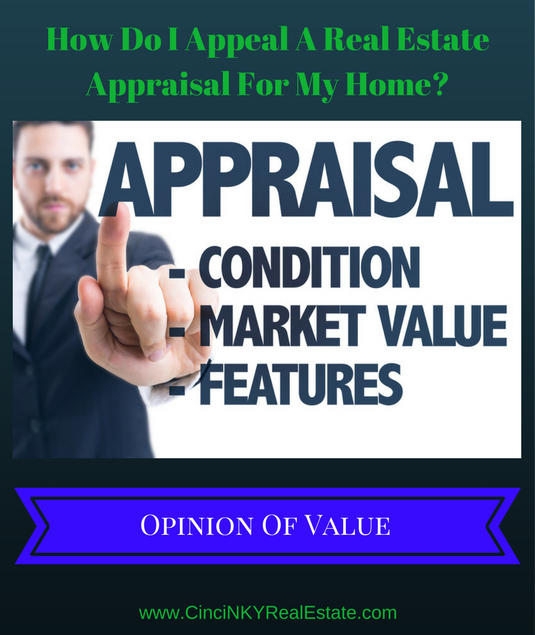 How Does An Appraiser Come Up With A Home Value? Appraisers have to go through a formal training and licensing process in order to be able to provide appraisals. 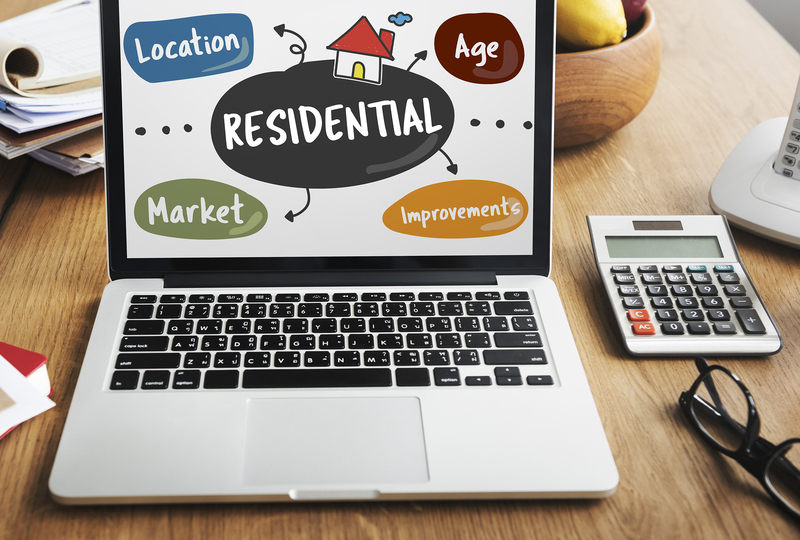 Appraisers have set methods and criteria for determining the value of a home and look at a number of different factors to come up with a price for a home. Appraisers will evaluate the basic setup of the home including how many bedrooms, bathrooms, square footage, age, build type, land size and more as part of an initial overview. Appraisers will also need to evaluate in person the physical condition of the home including improvements made that may not be accounted for in the public records. As part of the value determination appraisers consider the current real estate market conditions, recent comparable home sales, price trends within the neighborhood and more. 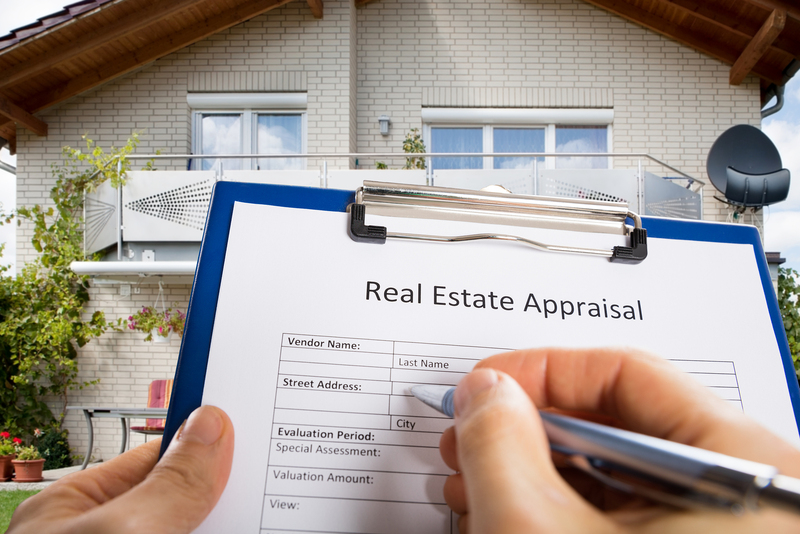 There are a number of ways an appraisal value can be wrong. The appraiser may have incorrectly noted a home as having fewer bathrooms or bedrooms that there really are. The appraiser made an error in computing the square footage of the home and the actual square footage is larger than on the appraisal report. The square footage of the actual land on which the home was built was underreported. The appraiser used old comparable sales data because the newest sales results may not be available at the time of the appraisal. The appraiser may not have been familiar with the location where the property was in and as a result did not account for the added value a strong growing neighborhood can bring. Just because an appraisal came in below the offer price does not mean that the value the home appraised for is the final number. A low home appraisal whether used for buying a home or refinancing on a home mortgage can be appealed. To begin with an appraisal appeal needs to first start with the lender. The lender who is providing the mortgage should be contacted and asked as to what the procedure is for appealing an appraisal. Oftentimes the mortgage lender will need a written request from the mortgage borrower in order to start an appraisal appeal and will also need some information as to why the borrower feels the appraisal is incorrect. Simply saying the appraisal is incorrect because the buyer thinks it is too low will not be enough to persuade a lender to ask for another appraisal. The borrower should submit along with its request for an appeal information or data to show why the appraisal was wrong. If you are buying a home then as part of requesting an appeal of an appraisal amount you should ask your Realtor to prepare for you the most recent comparable sales data for similar homes as the one you are buying. Recent sales data for comparable homes are used by both Realtors and appraisers for helping to determine a home’s value. If there were errors in the appraisal report then the errors should be noted on the appeal request to the lender. The lender will then make their own determination as to whether a new appraisal should be done or they will keep the existing appraisal. Hopefully a new appraisal will be ordered and correct any errors with the initial appraisal. If the lender opts not to order another appraisal then outside of the options listed above about the buyer bringing more money to closing or the seller reducing the price the buyer can try and get financing from another lender who will start the whole process all over again including getting a new appraisal. Therefore it is wise to make sure the home’s value is actually higher than what the prior appraiser valued it at. If both the home seller and buyer agree the value should be higher there may be a good case for bringing in an independent appraiser to do an appraisal. While most lenders won’t use appraisals they did not order as part of the mortgage application process the appraiser they use may be willing to consider the independent appraisal while doing a new appraisal. A low appraisal when buying a home is not necessarily the end of the deal. A borrower can ask for an appeal of the home appraisal in the event they believe the value determined is low. Mortgage borrowers need to show clearly and concisely where they believe the error in the appraisal lies and provide sufficient written justification for their beliefs. About the author: The above article “How Do I Appeal A Real Estate Appraisal For My Home?” was provided by Paul Sian. Paul can be reached at paul@CinciNKYRealEstate.com or by phone at 513-560-8002. If you’re thinking of selling or buying your investment or commercial business property I would love to share my marketing knowledge and expertise to help you. Contact me today!